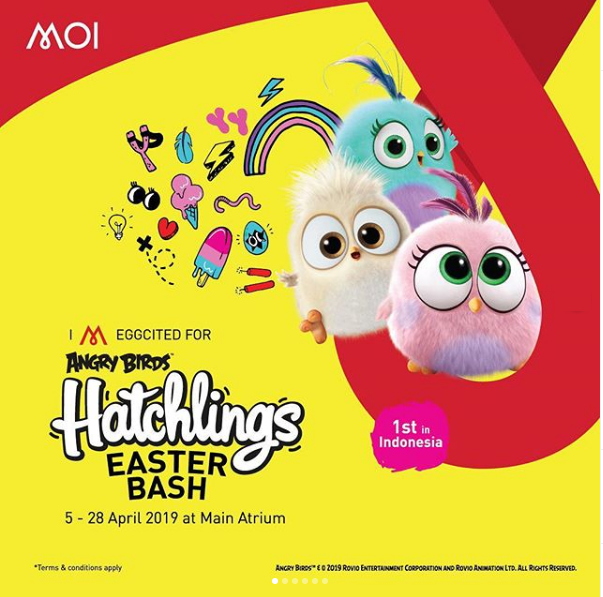 Shop and meet the Sweet Angry Birds Hatchlings at Main Atrium on 13, 20, 21, 24 and 26 April. Get free merchandise for min. spend IDR 1.000.000 at participating tenants. Dont skip the Easter Fun! Challenge your little ones by playing Easter Labyrinth and Rescue the Bird games to win amazing prizes.